Police in Birmingham are hunting a real-life 'wedding crasher', believed to have fallen asleep at the wheel, who fled after crashing into three parked cars, launching one into a front garden. The woman, believed to have been returning from the celebrations, vanished from the crash scene along with her three passengers after having medical treatment. 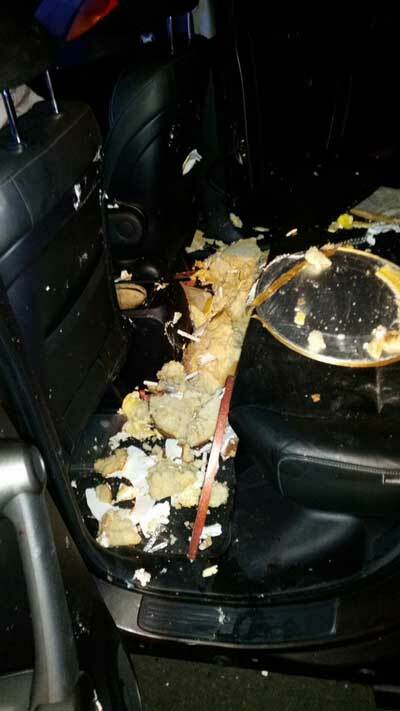 She left behind the Honda CRV she had been driving – complete with a ruined wedding cake in the back seat. The car crashed into three parked vehicles in Great Barr, at 5.15am on Sunday. 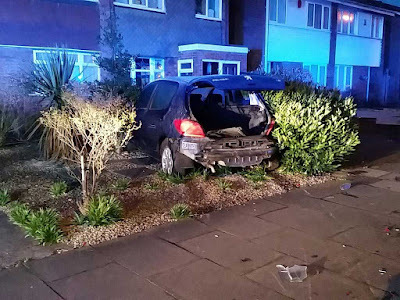 The impact propelled a blue Peugeot 307 several metres into owner Tracey Roberts' front garden, almost hitting the house. Tracey, 46, said: “I heard a huge bang. It woke me up, and I thought it was thunder. I looked out the window and I thought someone had stolen my car because it wasn’t there. Then I saw all the cars smashed up. I got dressed and came outside. “The lady across the road had phoned an ambulance, and my other neighbour later called the police. There was hardly anyone around at that time, and police think she may have fallen asleep at the wheel. The speed she must have been going at to move my car like that, I can only imagine. 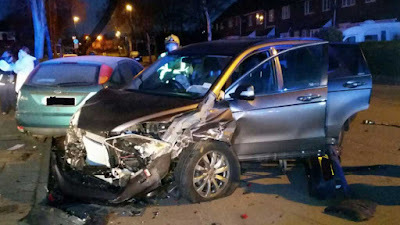 They never even managed to say sorry.” Tracey’s car was written off and her husband’s green Ford Focus was badly damaged. The third car, also a Focus, was less seriously damaged. The women from the Honda were given first aid by fire crews and paramedics but left before they could be questioned by police. Maybe the police need to work on their response times. 15 minutes to turn up at the scene of a potentially very serious RTC involving a possible drunk driver? They obviously take these things very seriously.